Phil Wang is a British Malaysian stand-up comedian. 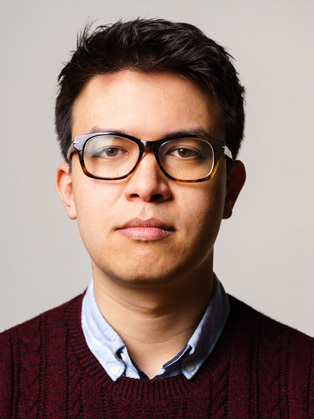 Phil Wang is also a member of the sketch comedy group Daphne, and co-creator of their BBC Radio 4 series, Daphne Sounds Expensive. Phil Wang is rapidly making a name for himself both in the UK and internationally with clever lines and a trademark laid-back style. As well as a hugely successful run of his new solo show, Philth, the Edinburgh Festival Fringe 2015 also saw Phil debut his new sketch trio Daphne alongside Jason Forbes and George Fouracres. The show was a phenomenal success, completely selling out and being nominated for the prestigious Foster’s Newcomer Award. 2016 will see the trio write and record their own four part sketch comedy series for BBC Radio 4. As well as two previous solo shows at the Edinburgh Fringe, Phil has also performed stand-up at the Montreal Just for Laughs Festival and at the Melbourne International Comedy Festival in 2015. Phil appeared as a panellist on Have I Got News For You (BBC1) in May of 2016. In 2015 Phil performed on The John Bishop Show (BBC1), Russell Howard’s Stand Up Central (Comedy Central) and appeared as a regular character in BBC3’s acclaimed new sitcom Top Coppers. He has also appeared on Funniest Moments of 2014 (Channel 4), The Rob Brydon Show (BBC2), Three at the Fringe (BBC3) and on BBC Radio 4’s Fresh From the Fringe and Best Behaviour, and the Comedy Live Lounge (BBC Radio 1). In 2010, the former President of the Cambridge Footlights won the Chortle Student Comedian of the Year Award and in 2011 Phil was awarded Comedy Central’s Funniest Student Award.